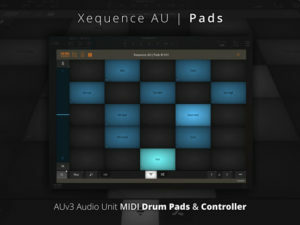 Xequence is a highly professional, fast & stable MIDI sequencer, arranger & controller for iPhone & iPad. 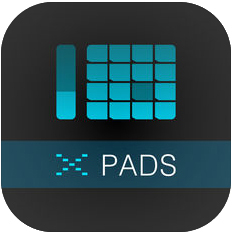 – SIDEBAR: Audiobus sidebar for switching between connected apps, with access to all Xequence transport controls (Play, Stop (the Rewind icon) and Record) from any other Audiobus app. – SYNCHRONIZATION: Full synchronization (Start, Stop, Tempo, Phase). Please note that Ableton Link has to be enabled in Xequence, all participating apps, and Audiobus. 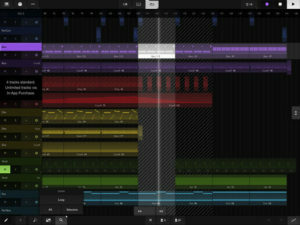 – MIDI OUT: 16 Audiobus MIDI Out ports for connecting up to 16 Xequence instruments to 16 separate Audiobus MIDI lanes or apps. Displays connected apps’ names inside Xequence. – COMPATIBILITY NOTE: Some apps hosted in Audiobus as a MIDI receiver might not work correctly due to implementation issues in these apps. In these cases, please send the MIDI directly to the app (do not put the target app on Audiobus’ MIDI screen. Instead, put it as a source on the Audio screen and select the app itself as the MIDI Destination on Xequence’s instruments screen). This problem can only be fixed by the receiver app developers. – MIDI THRU: Xequence’s usual MIDI Thru will also work inside Audiobus, passing whatever is received from the MIDI lane OR from any other source selected in Xequence’s settings to the current track’s instrument, which can be an Audiobus destination, hardware, OR another app. – STATE SAVING AND RESTORE: Xequence will save the current project, including all modifications done since the last save, in the Audiobus preset, and restore it when a preset is recalled. – MIDI MERGE: Xequence merges all MIDI input both from the Audiobus lane AND any other MIDI sources, both hardware and software, and can record it or send it to the current track’s instrument (MIDI Thru). – Please note that Audiobus MIDI and State Saving still are very new and evolving technologies, and you may encounter issues which are caused by problems in third-party apps. However, please do let us know if you have a problem that you suspect might be due to a Xequence bug, and we’re happy to investigate. – MIDI Input has been cleaned up: The “Any” source has been replaced by “Xequence Destination” and can be enabled alongside the other available sources. To send MIDI to “Xequence Destination”, most apps have a menu that will list “Xequence Destination” so you can send to it. Of course, the other way around (Xequence actively connects to other sources) is still available by enabling one of the other sources in the “Select MIDI sources” panel. – Better contrast for instrument colors in “Light” theme. – Pianoroll: When switching between note and velocity editing, scroll and zoom are now preserved. – Pianoroll: Fix vertical scrolling of keys on the left sometimes not in sync with scroll position of editor. – Pianoroll: Fix slightly wrong vertical zoom in Drum editor mode when using “Zoom All” with the ruler enabled and “Ruler Auto-Dismiss” disabled. – Keyboard: Fix sliders with “Return” option sometimes not returning to their zero position.